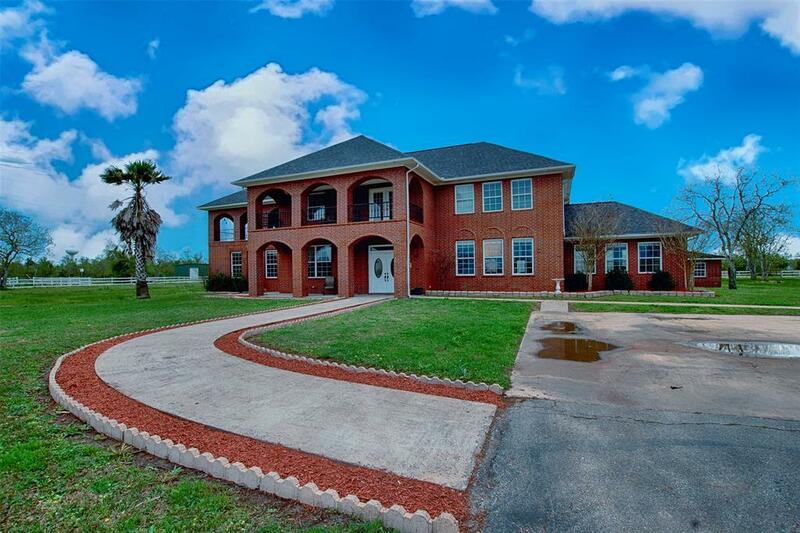 Majestic would be an understatement to describe this home with 10+ acres. Gated long driveway to 6 car garage & man cave. 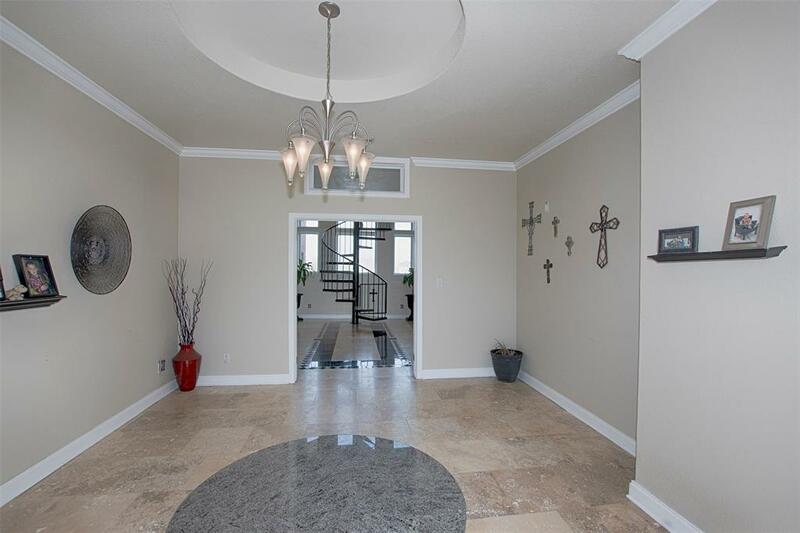 Foyer entry has to be seen to believe. 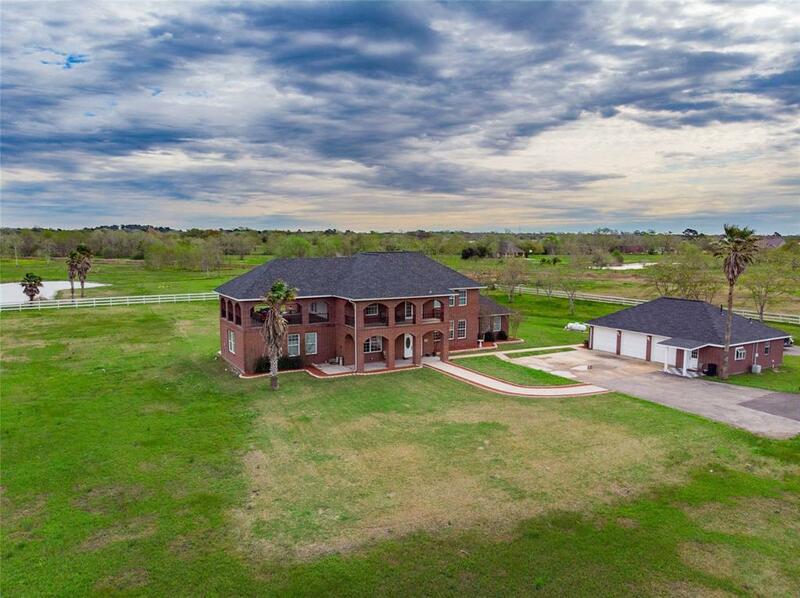 Elegance with stunning floors, granite inlays & entry extends to area with soaring ceilings & access to family room, kitchen, formal dining & even a game room. Family room has a wall of windows facing both the front of the home as well as easy access to the back porch. Next to the living area is a huge office. Large formal dining room for entertaining. A chef's dream kitchen with stunning custom cabinetry, huge refrigerator & space. Game room for entertaining with access to the patio & back yard. Stunning spiral staircase to 2nd floor. Master suite is like a vacation resort. Has a sitting area & private upstairs patio overlooking both the front & backyard. Guest room with balcony overlooking the front yard. Backyard entertaining at its finest! 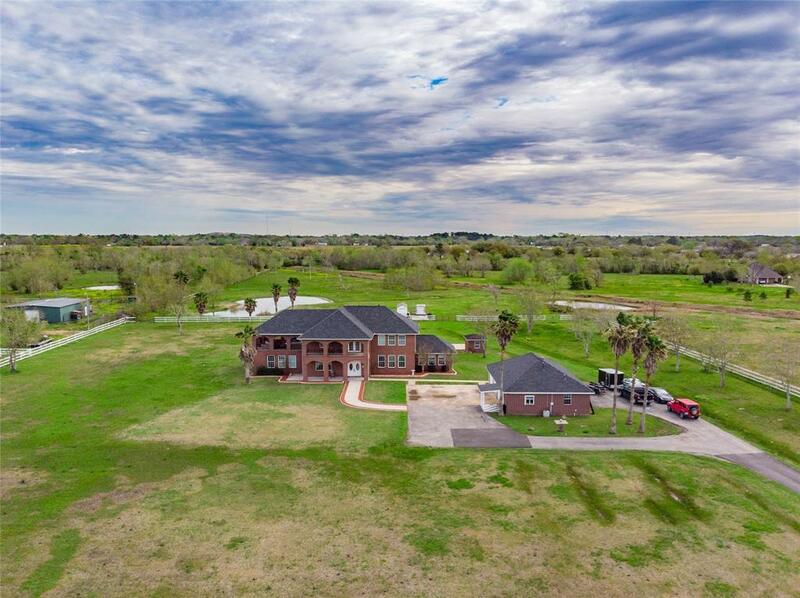 Huge yard, a pond & space galore. Space for pool & more this summer. Hurry to See!